Immediate Dental Implant after Extraction | Can You Really Do That? 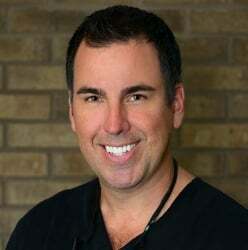 Sarasota Dentistry » Blog » Immediate Dental Implant – Can You Really Do that? What is the Benefit of an Immediate Dental Implant? If you have ever gone to the dentist to find out you are going to lose a tooth, it’s a heart wrenching thought, especially if it’s going to be one of your front teeth. The dentist gives you a list of options: a denture, a flipper, a partial denture, a bridge, or an Essix retainer to replace the tooth temporarily until the extraction site heals. Then he tells you, you will need to wait 3-4 months prior to placing a dental implant or a permanent bridge. And then he tells you it will be another 4 months after a dental implant placement before you can have a permanent implant crown placed on the implant. All of this time you are wearing a removable partial denture, a temporary bridge, or you have a missing tooth. Now imagine you get oral or I.V. Sedation, the tooth is removed, an immediate dental implant is carefully inserted into the extraction site and restored with a temporary crown. All in one visit! Is an Immediate Dental Implant Safe? Absolutely! Immediate dental implants, when done properly are extremely safe. Like any other dental procedure, there are inherent risks. Fortunately, they are few and far between and easily treated if complications do arise. 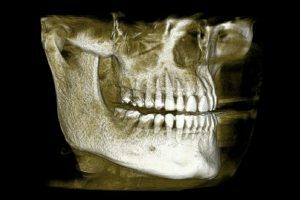 Proper planning with 3-D X-ray technology is critical along with an experienced dentist that has performed this procedure many times before. Proper post-operative care and diet will ensure successful healing. Patients are instructed to not bite down on the newly implanted tooth for 3-4 months. It is important to remember the implant to bone connection doesn’t get stronger by the day. It actually gets weaker for the first 6 weeks and then the connection gets stronger by the day. What is the Procedure for an Immediate Dental Implant? Immediate dental implants are generally necessary due to a non-restorable fracture of a tooth. In some cases, there may be infection associated with the cracked or fractured tooth. The procedure begins with an exam, 2-D and 3-D x-rays. A diagnosis is made and treatment options are discussed. An immediate dental implant is the treatment of choice. Pre-Surgical Appointment – A pre-surgical appointment is made to review the patient’s health condition as well as review all medications. Sedation options are discussed and planned – oral vs. IV sedation. Antibiotics, pain medication, sedatives, anti-inflammatories and mouth wash are prescribed with instructions on how and when to take medications. Sedation and pain medicine are optional and most procedures won’t require pain medicine. Any pre-operative study models that are needed are taken. Dental Implant Surgery Day – The patient is generally well sedated with either oral or IV sedation. Just like any other procedure, topical anesthetic is applied prior to local anesthesia administration (i.e. Novocaine). Additional impressions of the teeth are taken if necessary prior to the tooth extraction. The cracked, fractured or hopeless tooth is removed very carefully to minimize any damage to any surrounding bone. The extraction socket is inspected and cleaned carefully to make sure no infected tissue remains. The dental implant site is prepared and the dental implant is placed with a relatively high torque value to ensure initial implant stability. If the torque value is high enough, an immediate dental restoration (crown) may be attached to the dental implant. This is the part you just don’t know until you get there. If the torque value is low, a healing abutment is placed and Plan B is the alternative. Plan B usually means some sort of removable partial, bonded temporary or dental bridge is made to replace the tooth temporarily. Assuming the implant is stable, an abutment is placed and temporary crown is fabricated. Prior to cementing the crown, additional bone grafting may be necessary to fill the voids between the dental implant and the remainder of the extraction socket. In addition, a membrane, soft-tissue graft or platelet graft (PRGF) may be used to protect the bone graft. Finally, the temporary crown is temporarily cemented and adjusted to make sure IT IS NOT TOUCHING ANY OF THE OPPOSING TEETH when you bite and grind. Now you are on your way home to take a nice nap. Patients don’t usually remember much about this visit due to the effects of the sedation medication. Post-Operative Check up – 2 weeks after surgery, patients return for a quick follow-up exam. They also make their appointment to have the permanent restoration fabricated in 14 more weeks. Doctors with CEREC have the ability to fabricate the permanent dental implant crown in a single visit. Permanent Implant Crown Fabrication – Some dentists will take an impression for the crown to be fabricated at a dental lab and some will utilize CEREC “single visit crown”. It may be necessary to fabricate a custom abutment which could add another visit to both a dental lab crown or a CEREC crown. Â Either way, you are looking at a max of 5 months vs. 9 months if an immediate dental implant isn’t placed at the time of extraction. What Kind of Dentist does Immediate Dental Implants? General dentists, oral surgeons, and periodontists are generally the dentists that place dental implants. However, general dentists and prosthodontists are the only ones that restore dental implants. There are a handful of general dentists and prosthodontists that both place and restore dental implants – these are the ones you want to look for when you want to take advantage of an immediately restored immediate dental implant. These guys can remove the tooth and replace it with a dental implant, abutment and crown in a couple of hours. You don’t even realize you lost a tooth. It looks exactly like your natural tooth or better, and it doesn’t hurt.